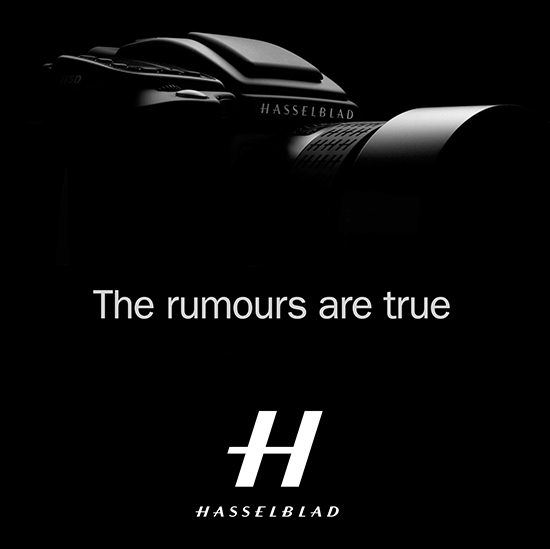 After Hasselblad quietly replaced its CEO (does this means the end of the Lunar and Stellar? ), the company announced today the launch of the H5D-50c - the world's first medium format camera with a 50MP CMOS sensor (medium format sensors are CCD). Some of the main advantages of the CMOS sensor are better ISO, faster capture rate and longer shutter speed. Hasselblad is set to launch the world's first 50MP medium format camera using CMOS sensor technology. The groundbreaking H5D-50c will go on sale in March. He added: "We believe this will provide a highly compelling option for professional photographers who prefer a more versatile camera that enables them to immediately embrace a wider range of photo-disciplines but still encapsulating the exceptionally high-end image quality associated with Hasselblad." Hasselblad's new CEO Ian Rawcliffe said: "We are extremely excited about this highly adaptable new camera which will offer an even broader palette of shooting options for our high-end customers. "This is a world-first and underpins Hasselblad's status at the forefront of camera technology. It will be the first of a number of medium format capture innovations we have planned for the coming months." This entry was posted in Hasselblad and tagged Hasselblad H5D-50c. Bookmark the permalink. Trackbacks are closed, but you can post a comment.